Camille La Vie x Emblem3 ft. "Too Pretty" for Prom 2017! Camille La Vie x Midnight Red - Fashion and Music Collide for Prom ft. "Take Me Home"
HYPE! recording artist Midnight Red is helping us get ready for Prom 2016, check out this exciting collaboration NOW!! 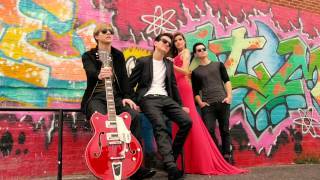 Camille La Vie x Before You Exit - Girls Rock for Prom ft. "Dangerous"
Camille La Vie is rolling out their new FALL 2014 collection of gorgeous dresses for any party occasion including Homecoming, Prom, Wedding, Birthdays and virtually all special events! Captivate the crowds at your dream wedding in a beautifully designed wedding dress by Camille La Vie. SHOP our beautiful dresses at https://www.CLV.com/ Camille La Vie & Group USA is a fashionista's shopping hot spot for prom dresses, homecoming dresses, wedding dresses, day into evening dress styles, bridal, fashion jewelry and shoes. We offer one of the most extensive and stylish collections of special occasion dresses that can be found under one fabulous roof! Since its inception in 1985, the company's motto of "Providing customers with the latest dress fashions at an affordable price" has made us a leading retailer in virtually all categories. Our company operates Group USA stores in outlet centers and Camille La Vie stores in regional malls nationwide. In select stores, customers will discover Camille La Vie's bridal collection including wedding dresses, bridesmaid dresses, flower girl dresses, mother of the bride dresses and guest of wedding dresses. Our bridal salons provide alterations and consulting services.